Currently based out of The Stables at Holman Ranch in Carmel Valley, California, Lauren offers a variety of services for horse and rider pairs. Lauren has trained with many top professionals in the horse community, and carried a diversity of equestrian jobs that have broadened her skills from horse management to competition. Lauren currently has a variety of clients by working with the local pony clubs, young riders, and adult amateurs. 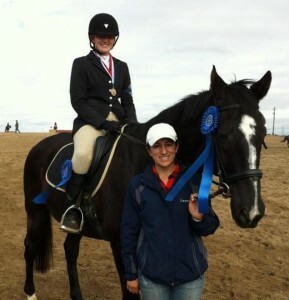 Lauren is currently available to take horses and rider in to full or partial training. Lauren has been training horse and rider pairs since 2007 and made it official in 2011 when she established her business “Lauren Billys Eventing”. 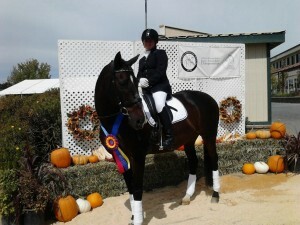 Lauren’s clients excel in the sports of dressage and eventing. In years past, students of LBE have found their way to the leaderboards in Area VI eventing. In 2012, Lauren’s student Alex Dayka (age 11) won the CDS Junior Championships at Training Level. In 2013, Lauren’s working student, Marta Tabatabi won the CDS Junior Championships at First Level. Other LBE riders have competed throughout the year in Area VI events to finish in competitive placings. Lauren Billys Eventing is fortunate to have a full service boarding facility at The Stables at Holman Ranch in Carmel Valley, California. Horses and riders training in the sports of eventing, dressage, and jumping. For questions about joining this program or seeing our facility, please contact Lauren. Lauren Billys Eventing prides itself on the ability to develop the basics for riders and horses to lead to success in the arena at home to any competition arena. Lauren spends quality time in each lesson because she is invested in each of her student’s success. With these basics, Lauren hopes to instill a fun, safe, and successful understanding of riding for each of her students. With opportunities for lessons, training rides, competing horses for additional experience, and sales, feel free to contact Lauren on the Contact Us page for further information. Information regarding pricing can be forwarded upon contact.